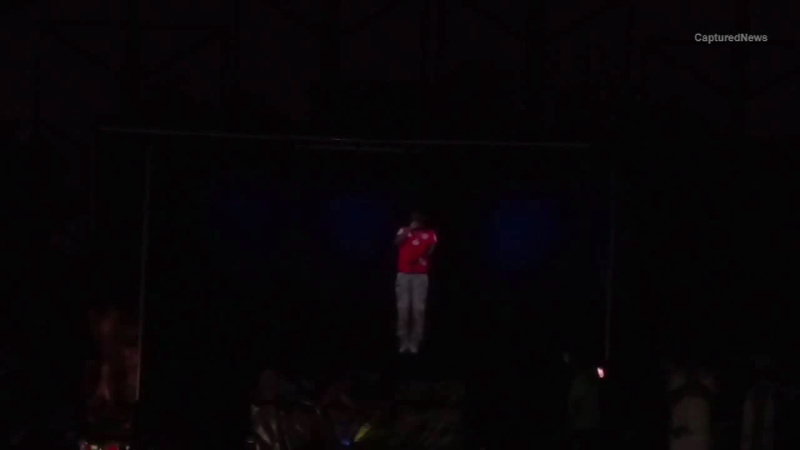 Chief Keef performs via hologram at Craze Fest in Hammond, Ind. HAMMOND, Ind. (WLS) -- Chief Keef's secret concert was quickly shut down by police in Northwest Indiana. The Chicago native made an appearance via hologram at Craze Fest in Hammond. Hammond police say they were assured he would not perform and when he did, they quickly turned off the power. Keef had originally planned to hold the concert at Red Moon Theatre, but Mayor Rahm Emanuel's office asked the theater to cancel calling Chief Keef an unacceptable role model. The concert was a fundraiser for the family of Dillan Harris, the toddler who was struck and killed in his stroller by a car fleeing the scene of a shooting.